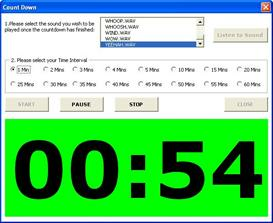 A easy to use countdown timer in Microsoft Excel. A sound of your choice will play once the counter reaches zero. 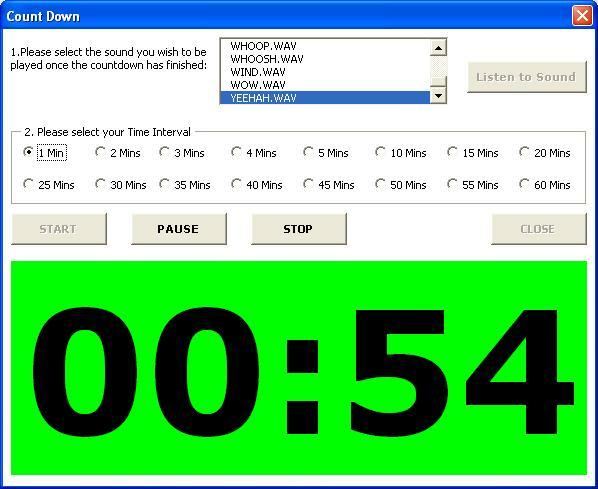 The timer also goes through a traffic light system of colour changes the closer it gets to zero. You can customise the sound the timer plays when it reaches zero.